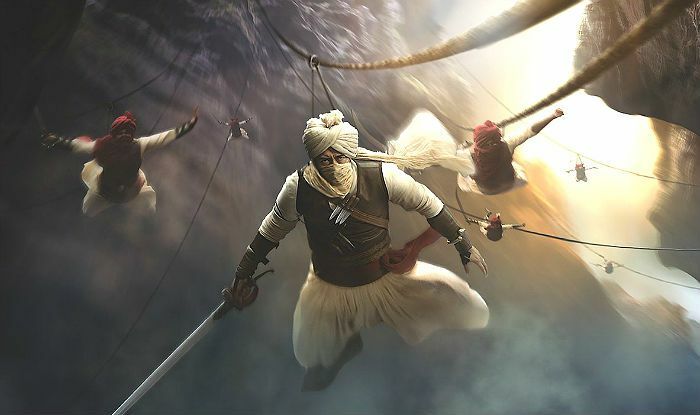 Actor Ajay Devgn has announced a new release date for his upcoming film Tanhaji: The Unsung Warrior. The much-anticipated biopic on the life of Maratha soldier will now release on January 10 next year. The film, directed by Om Raut, was earlier scheduled to hit the screens on December 27 this year. Tanhaji is Ajay’s most ambitious project till date and is being made under his home banner Ajay Devgn Films Limited, along with Bhushan Kumar’s T-Series. The film is heavy on VFX and also features Saif Ali Khan and Kajol in important roles. Earlier, Ajay and team released two stills from the film showcasing the grandeur around the subject. The film is set in the 17th century Maharashtra and portrays the journey of Tanaji Malusare, a military leader in the Maratha empire. While Kajol plays the character of Tanaji’s wife, Laxmi Bai, Saif is the antagonist. He essays the role of Udaybhan Rathore, a for keeper under Mughal Army Chief Jai Singh I.
Tanhaji: The Unsung Warrior will majorly showcase the epic Battle of Sinhagad fought in February 1670. The legend has it that Tanaji and his men used a monitor lizard to climb the wall of the Sinhagad Fort, then known as the Kondhana fort. While Maratha won the battle, Tanaji lost his life and his bust was established on the fort in the memory of his contribution to the battle. Meanwhile, Ajay has got four more big films in his kitty apart from Tanhaji. His next, De De Pyar De, directed by Akiv Ali, is with Tabu. He will also be seen in an important role in SS Rajamouli’s RRR with Alia Bhatt, Jr NTR and Ram Charan. Ajay also has Neeraj Pandey’s Chanakya up his sleeve. Another untitled Luv Ranjan’s film with Ranbir Kapoor is also in the pipeline. Watch out!